The first time he touched the football this season, Centennial senior Brandan Harley ran back a punt for a touchdown. It would be the only score the Bulldogs would need in 16-0 victory over rival Palo Verde. “Our defense set the tone for us,” Harley said. 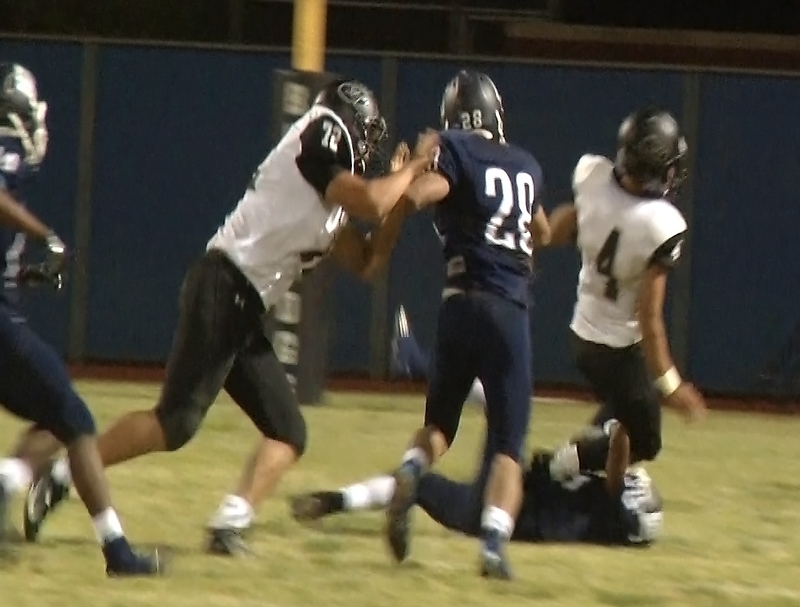 Centennial’s defense stuffed the Panthers misdirection option attack for most the night, and on Palo Verde’s most promising offensive series, Centennial senior Nicholas Humenik intercepted a rare throw from Palo Verde junior Logan Hutchinson in the second quarter. The shutout avenged a 22-13 loss to Palo Verde in October of last season. Centennial junior running back Rhamondre Stevenson provided the final dagger with an 11-yard touchdown run late in the fourth quarter. The Bulldogs have a quick turnaround, traveling to Foothill on Thursday night. Palo Verde begins a tough three-game stretch next week. The Panthers will host Green Valley, then play Las Vegas and Liberty.